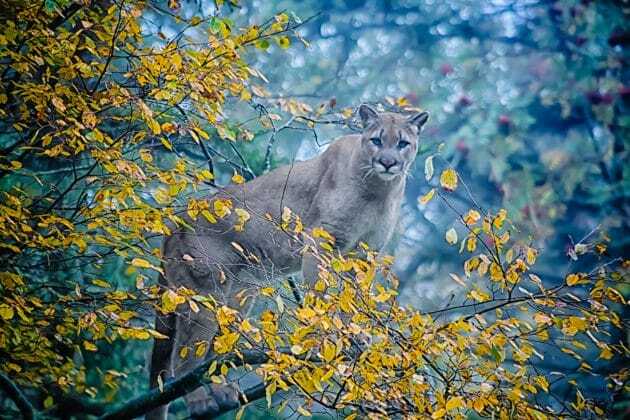 LINVILLE, N.C. — On Monday, March 25, Grandfather Mountain bid farewell to Aspen, a Western cougar and longtime resident of the park’s wildlife habitats. According to habitat staff, Aspen grew increasingly unresponsive following a weekend tooth-removal surgery, which was also intended to diagnose some other ailments. After his keepers kept him under 24-hour observation, his condition only worsened, and he was humanely euthanized on March 25. 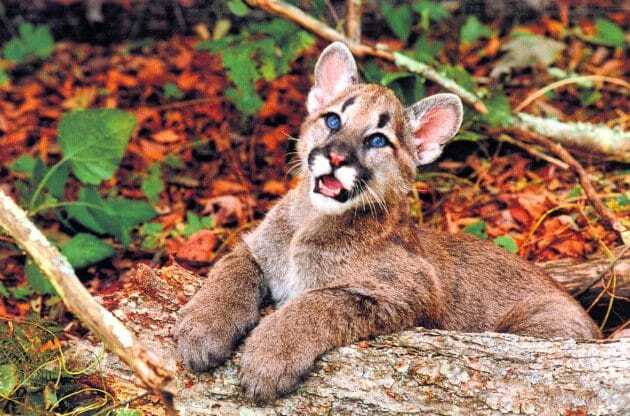 Aspen was 15 years old, two years older than the average lifespan of a Western cougar in the wild. Those who met and worked with Aspen knew he was full of surprises, from his gentle purring and his colorful vocalizations to his playful, feisty nature. As it turns out, this was true from the very beginning. Born June 22, 2003, at Rocky Mountain Wildlife Park in Pagosa Springs, Colo., Aspen and his siblings astonished their keepers, who thought the cubs’ mother was too old to bear kittens. As a result, the cubs all had to be hand-raised by staff. Grandfather Mountain had recently lost an elderly cougar due to age-related complications, when habitat staff received a call from the Rocky Mountain Wildlife keepers, stating that they had some cubs in need of a home. Aspen’s journey to Grandfather Mountain started in a twin-engine airplane on Oct. 3, 2003, when he was only three months old. The plane came courtesy of friends from Luray Caverns in Luray, Va., a member of the Southern Highland Attractions organization, of which Grandfather Mountain is also a member. 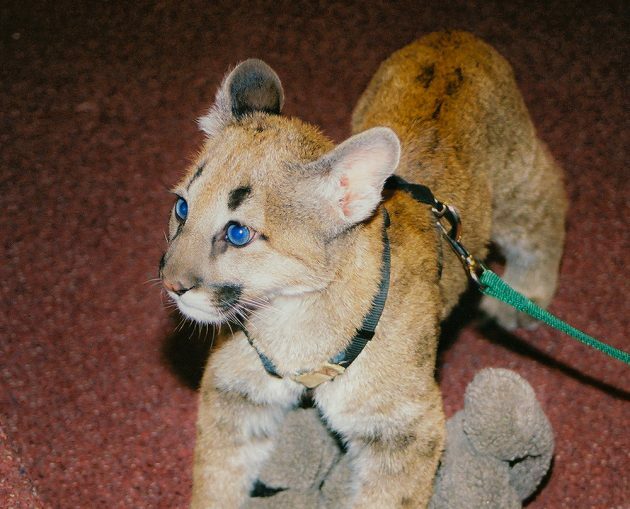 Since Aspen was so small upon his arrival in the Western North Carolina High Country, he could not safely reside with his adult cougar counterparts in the main habitat. Aspen spent his cub-hood days playing with toys, pouncing on keepers, chasing the cats, nursing on blankets and fleeces and licking his keepers’ heads — especially Pope’s, who served as a habitat keeper at the time. Fun as it was, such personal interaction is integral to instilling and developing trust between young animals and their keepers, Pope said. Once Aspen was introduced to his new feline family, Sheaba and Nikita, the keepers took a figurative step back and ceased close physical interaction for both theirs and the cats’ safety — a practice done with most animals brought to the mountain at a young age. Grandfather Mountain’s resident animals live in environmental wildlife habitats, most of which are built around native environment, offering the animals acres of room to roam as they please, even out of sight if they desire some privacy; or, in the cougars’ case, some alone time to lounge in the sun. 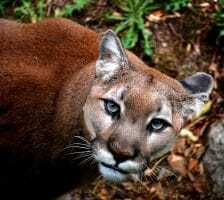 “Aspen became fast friends with his cougar family — particularly Nikita — and they could often be seeing playing chase games, snuggling and grooming with each other,” Tipton said. Those who met him were always charmed by his striking blue eyes, which most cougar cubs exhibit at a young age but lose in adulthood. Aspen, however, retained them, along with a special fondness for his keepers, as well as other visitors. This became even more evident after Sheaba and eventually Nikita passed away. The not-for-profit Grandfather Mountain Stewardship Foundation strives to inspire conservation of the natural world by helping guests explore, understand and value the wonders of Grandfather Mountain. For more information, call 800-468-7325, or visit www.grandfather.com to plan a trip.